Saturday 6th August 2016: Contribution to BBC Radio 4 programme Archive on 4, on Tolkien: The Lost Recordings, a reflection on the 1968 BBC film Tolkien in Oxford, revealing some previously unbroadcast scenes, thought lost. Listen to this programme here. Radio interview on BBC Radio 2 by Simon Mayo on Tolkien, his sources and the tradition of fantasy literature. Radio interview on Deutschlandfunk on Tolkien and fantasy literature on the occasion of the Politics of Contemporary Fantasy conference at the University of Wurzburg, Germany (5-7 October 2012), where I gave a keynote lecture (see Presentations). Radio interview on BBC Radio Wales for the Jamie and Louise Show on Christmas in folklore and literature: Mari Lwyd, Hunting the Wren, Siôn Corn, Charles Dickens’ A Christmas Carol (including its origin: ‘The Story of the Goblins who stole a Sexton’), Dylan Thomas’ A Child’s Christmas in Wales, and Alfred, Lord Tennyson’s “In Memoriam”. 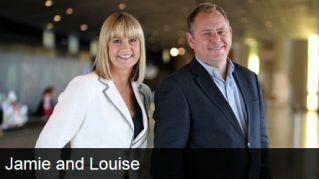 Radio interview on BBC Radio Wales for the Jamie and Louise Show on Fantasy Literature (its origins, cultural context and its place in the literary canon) on the occasion of Royal Mail’s new series of stamps on Magical Realms. Radio interview on BBC Radio Wales for the Jamie and Louise Show on the 7th Harry Potter film (Harry Potter and the Deathly Hallows: Part 1), including actor Steffan Rhodri who played Reg Cattermole in the film. Newspaper Reviews for Good Morning Wales. Stories reviewed: Chatsworth House auction; Great War over for Germany; Pre-Raphaelites: Review of Ashmolean exhibition. Newspaper Reviews for Good Morning Wales. Stories reviewed: John Lennon’s manuscript auctioned; Morte d’Arthur performed by the Royal Shakespeare Company; The Wizarding World Of Harry Potter theme park opened. Radio interview on BBC Radio Wales for the programme Good Morning Wales about my new Tolkien and Fantasy Online Courses at UWIC. 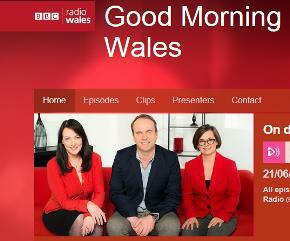 Newspaper Reviews for Good Morning Wales. Stories reviewed: Restoration of Victoria & Albert museum medieval Trojan War tapestry; exhibition of the Staffordshire Hoard. Radio interview on BBC Radio Wales for the programme Good Evening Wales about Festival in the Shire and Tolkien’s Welsh connections and inspiration. Radio interview on BBC Radio Wales for the programme Good Evening Wales on the importance of the classics in English Literature education. 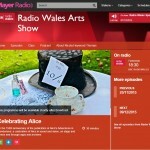 Radio interview on BBC Radio Wales by Roy Noble on my book Tolkien, Race and Cultural History: From Fairies to Hobbits. 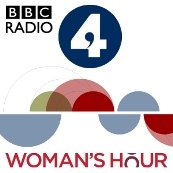 Radio-interview on BBC Radio 4, for the programme Woman’s Hour, on Food in Literature. Radio-interview on BBC Radio Wales, for the programme Good Evening Wales, on the release of the last book of the Harry Potter series. 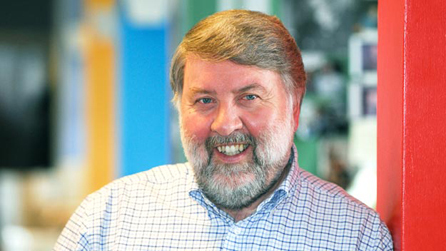 Radio-interview by BBC Radio Wales, for the programme Good Evening Wales, on J.R.R. 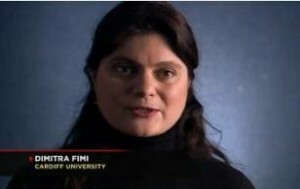 Tolkien’s ‘invented languages’ and their relationship to the Welsh language. Brief article for The Western Mail on the occasion of World Book Day: ‘Join the Great Chain of Reading and be Inspired’. 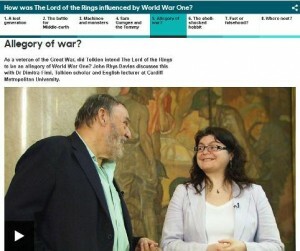 Article in The Western Mail, based on interview on my book Tolkien, Race and Cultural History: From Fairies to Hobbits. One-page article in The Western Mail, based on interview on my course on J.R.R. Tolkien at the Cardiff Centre for Lifelong Learning. Interview on Tolkien’s ‘invented languages’ and their relationship to the Welsh language, parts of which were quoted in a relevant article in The Western Mail, and in the Welsh Edition of The News of the World.